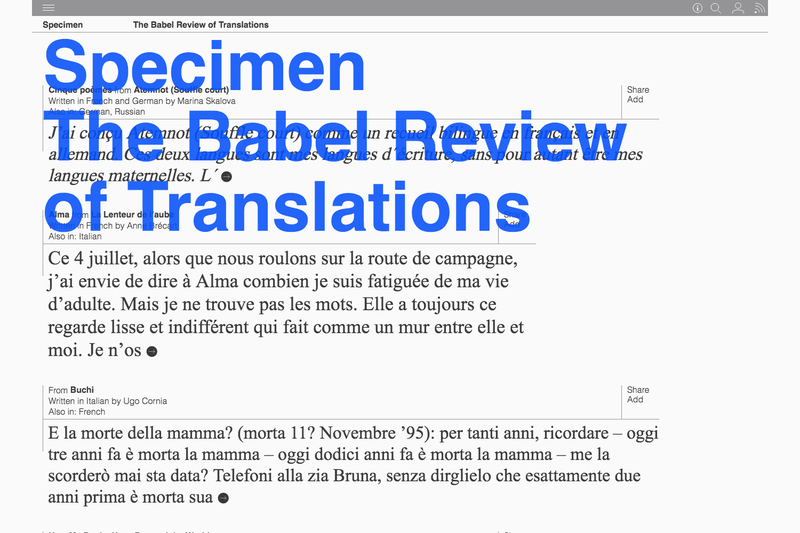 Specimen is an entirely multilingual web-magazine, which through translation gives voice to the multifaceted world. Texts can be in every language and alphabet, potentially translated into and from any other language. With a special inclination for second languages and hybrid forms, Specimen engages an ever-expanding network of writers, artists and thinkers, fostering relation and linguistic hospitality as the core of its approach. 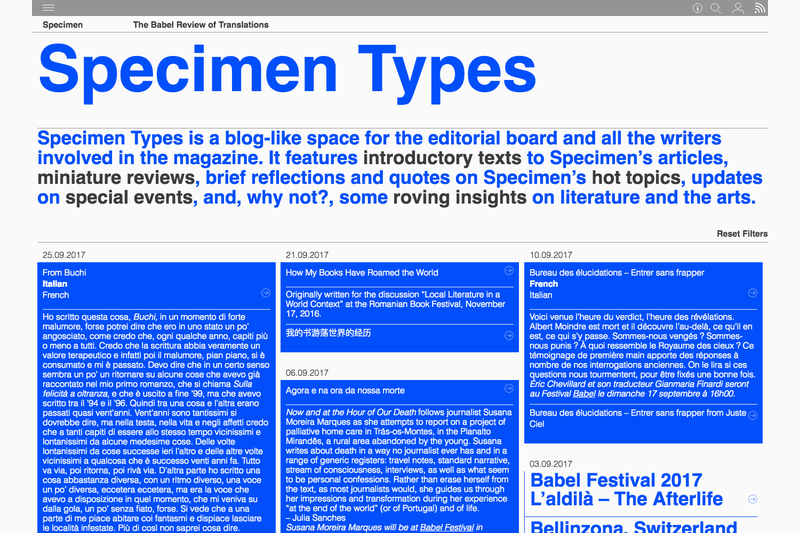 Make sure you sign up to My Specimen to create your very own version of the magazine: you can store, bookmark, and highlight your favourite texts, as well as customize your reading experience by changing font size, background colour and texture.